The opening night for Casse-Noisette at Les Grands Ballets de Montreal was magical! It brought out the big kid in me as toys came to life and snowflakes did pirouettes around the stage. Admittedly, I was somewhat of a Nutcracking newbie. My earliest exposure to this story came by way of the Warner Bros. animated movie The Nutracker Prince in the 90s. 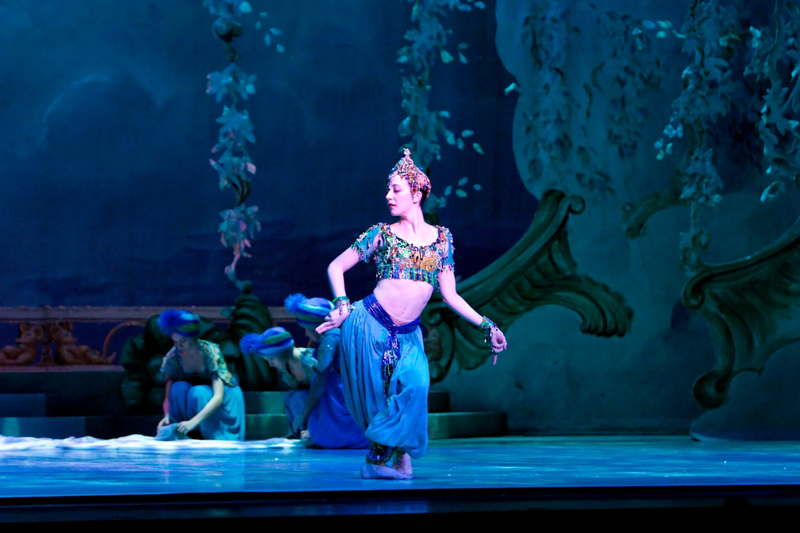 In contrast to the ballet, the movie was more of an archetypal hero-princess story. 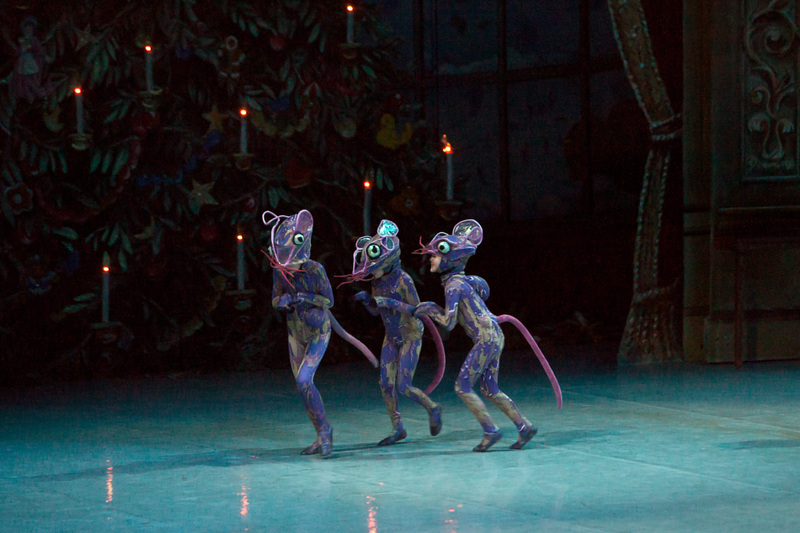 As a child, I found the Royal Rat couple and their sword wielding goons a bit scary, but the little rat dancers in the ballet were just adorable as they scurried across the stage with their curly tails. My heart melted even as some of them rolled over onto their backs and died while fighting the toy soldiers. They were the cutest rodents in rigor mortis with their tiny arms and feet frozen in mid-air. The audience was definitely pleased, giggling with each rat twitching before finally going down for the count. But the plot of The Nutcracker ballet extended beyond this rat-toy feud, delving into the mind of a slumbering Clara who dreamed up moments of sheer delight and splendor as well. The regiment of rats. Casse-Noisette. Photo John Hall. In the second act, Clara was treated like royalty watching gleefully as a range of international entertainers performed for her. We saw Russian folk dancers doing jumps, flips, and splits; a group of Chinese acrobats emerging from a box; an Oriental dancer on pointe moving over and under a large white flowing sheet; and a court jester in the Kingdom of Sweets inciting a bit of humour between performances. The Trepak Ivan. Jeremy Raia. Photo John Hall. Although there was much variety in the choreography, the classic ballet movements were my favourite. 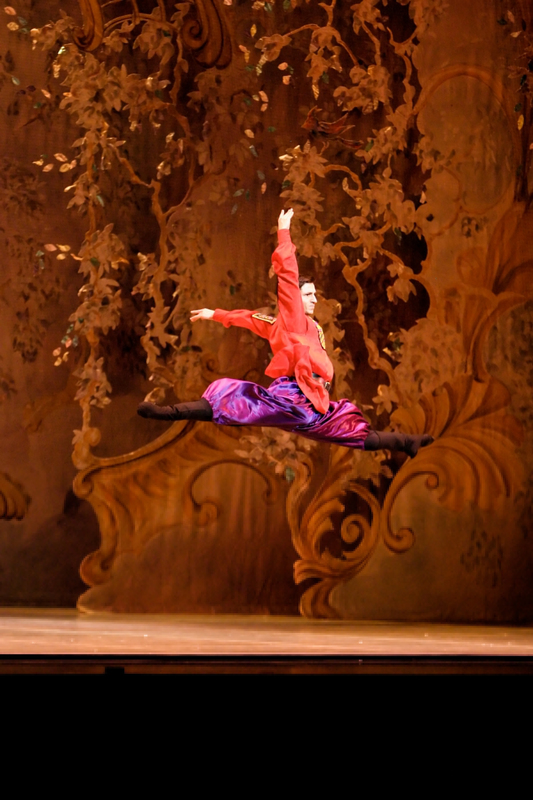 There is something to be said for a ballerina in a tutu gliding effortlessly across a stage. The Snow Queen and her Cavalier, along with The Snowflakes were majestic as they danced under a light snowfall. The cotton-candy angels were also a favourite of mine. Taking short but very quick steps, they seemed to hover just a few inches above the stage floor as they circled The Sugar Plum Fairy. Their bell-shaped pleated dresses really helped to created this swift movement. Of course, the music was Pyotr Tchaikovsky’s well-known score. The orchestra sounded wonderful; however, I found that the volume was quite low. I could hear the dancers shoes tapping on the floor which was a bit distracting. On the other hand, the set design and lighting was impressive. The use of layered screens for the backgrounds made for almost seamless transitions between scenes. For much of the first act, a large Christmas tree lay in the background. When Clara began to dream, the tree grew and grew as the screen lifted, leaving only a grand base that was visible to the audience. This was an amazing way to convey how the characters were shrinking to the size of small mice. Final word: this piece was definitely family-oriented. It was short and sweet, but adults might need a bit of imagination to enjoy it. If you’re a sourpuss, you might want to skip this one and retreat back to your grinch-cave. Casse-noisette runs at Salle Wilfred-Pelletier (Place des Arts) until December 30. 2 p.m. & 7:30 p.m. Ticket prices vary. Alice, you put all your heart in what you write and have a great way to expressing your impressions. I like reading everything you publish.